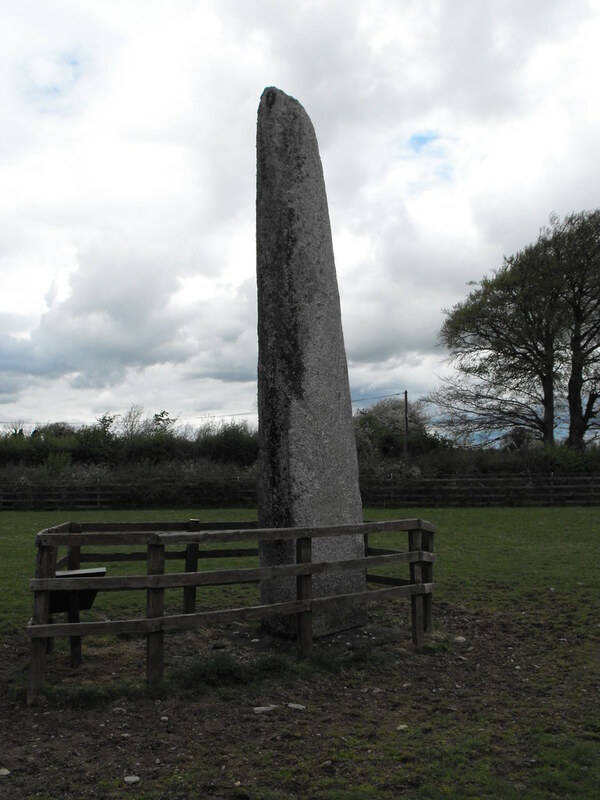 The Standing Stone: The Long Stone, Punchestown, Co. Kildare. 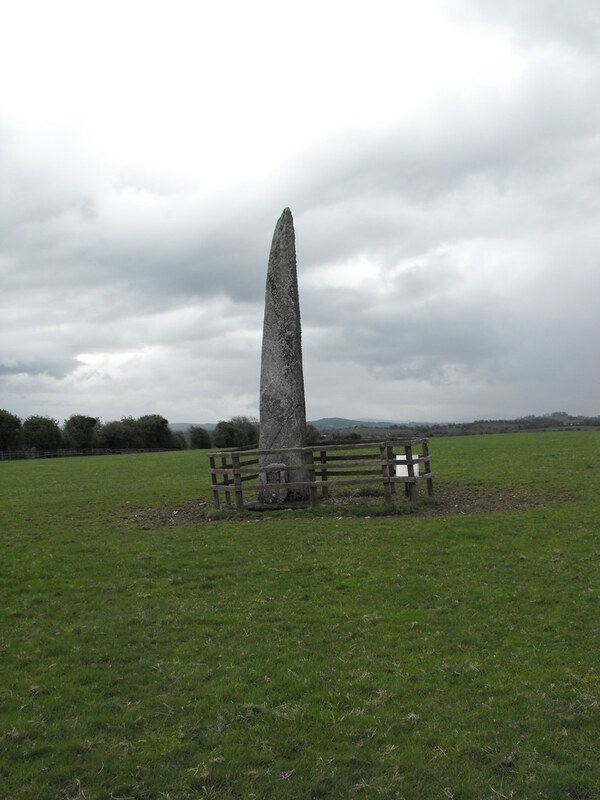 The Long Stone, Punchestown, Co. Kildare. Location – Very close to Punchestown racecourse. It can be seen close to the road poking over the hedge rows. 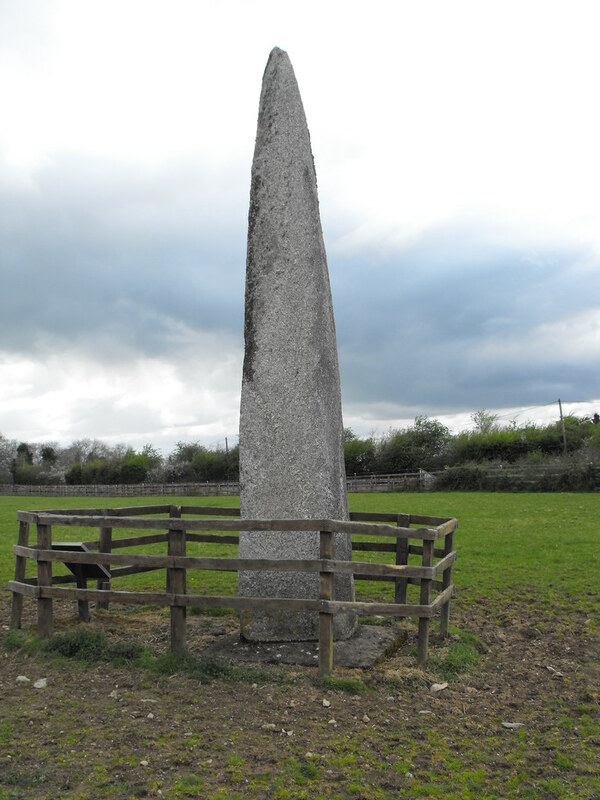 However, although you can visit this monument and it is signposted there is no clear access. I scrambled through the hedge and climbed the fence. Description and History – There is only one word for this stone and that is impressive. 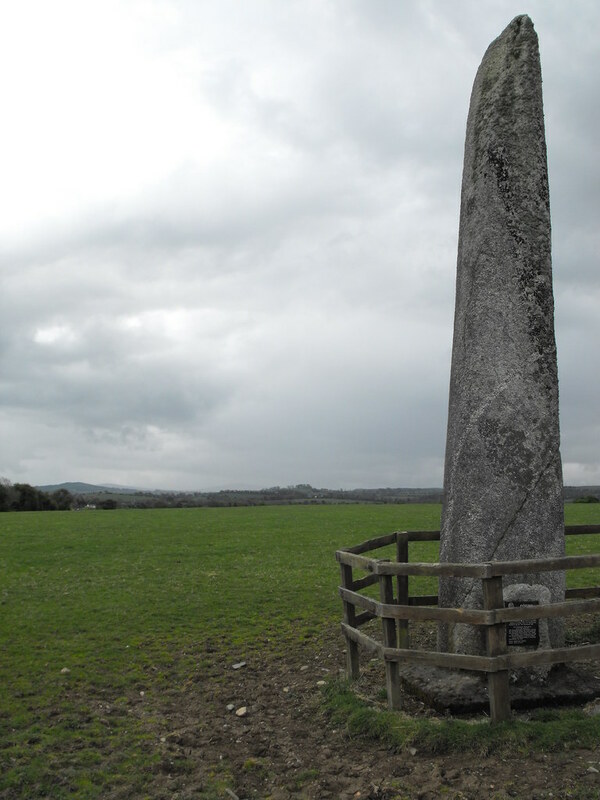 It is the largest standing stone in Ireland and stands at 5.5m tall which is shorter than its full height of 7m tall. It fell in 1933 and was erected the following year at a shorter height to make it more stable. A small cist tomb was found nearby at this time possibly indicating that this stone is a gravemarker. A small wooden fence now stands around it along with the official OPW sign which does detract from the beauty of this stone. In my opinion it should be removed. 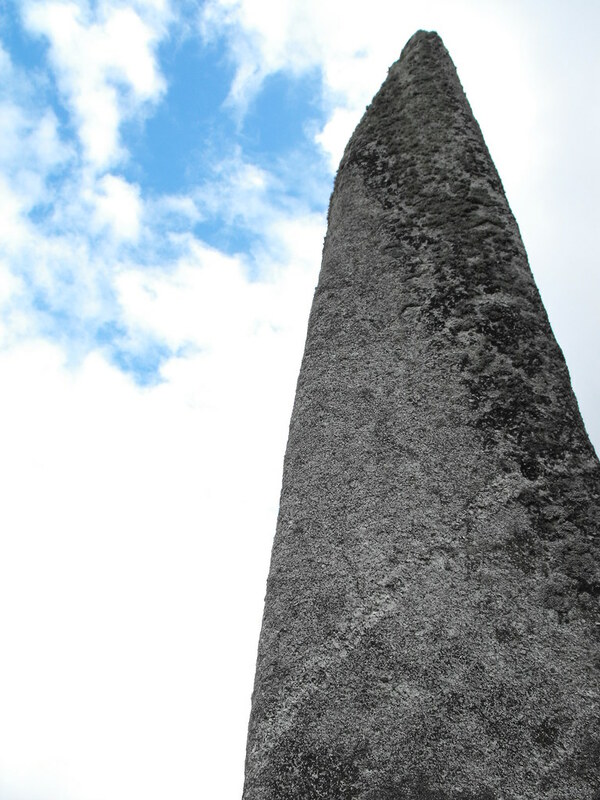 However, this stone is still extremely impressive and stands like a huge pillar reaching in to the sky. 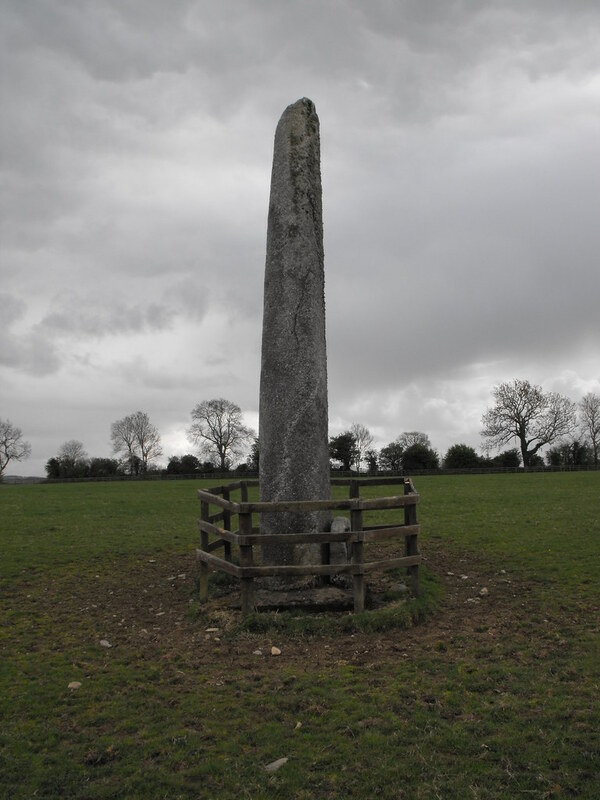 The stone had roots in Irish mythology and it is said that Fionn MacCumhall threw the stone to its present location from Allen hill. The stone first appears in a historical record in 1183 and is mentioned by Giraldus Cambrensis who took many tours of Ireland. Difficulty – Easy enough find and see from the road but getting into the field can be a little tricky. Nice shots and as you say, pretty impressive. Interesting to note the nearby cyst burial and it's possible connection to the stone. Many thanks for posting.